Many of us have been driving on Alberta roads for years and years and assume we know what all the markings on the road mean. While some of us haven’t really been interested in what they mean, even though we should. Not matter how long you’ve been driving or what your interest is it is important to have a refresher on what all the different road markings mean. 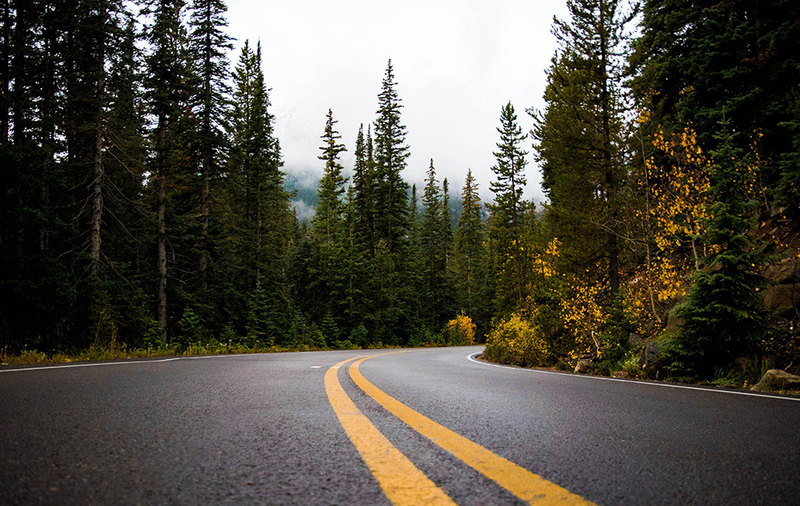 This article will go over some important road markings that you should know. Let’s start with something easy and go over yellow line markings on the road. Yellow lines mean that vehicles on each side of the yellow line must travel in opposite directions. A yellow line should always be on the driver’s left hand side. Solid yellow lines whether they are single or double mean that passing is not permitted. A broken yellow line means that passing is permitted. A solid yellow line paired with a broken yellow line means that a pass is permitted for the driver who has the broken line on their side of the road. The driver that has the solid yellow line on their side of the road is not allowed to pass. White line markings should be known by even the most novice of drivers. White lines mean that vehicles on each side of the line are travelling in the same direction. A solid white line indicates that lane changing is not permitted. A broken white line means that lane changing is permitted. Let’s start to get a little more advance, if you ever see the line marking shown in the image below this indicates a two way left turn lane. This means that the centre lane of the road is shared and reserved for left turning traffic travelling in either direction. While driving you will often see symbols painted on the road. There is a number of different symbols that are used each indicating something unique. A diamond on the road means that a lane is reserved for specific vehicles. There are often signs that will indicate time or vehicle restrictions. A bicycle stencil accompanied by a diamond indicates a bicycle lane. 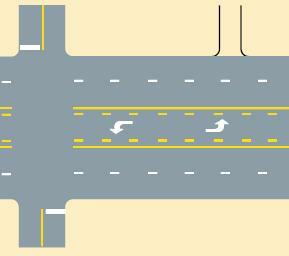 Bicycle lanes are painted in the curb lane of the road or positioned beside a row of parking spots. Vehicles are not allowed to drive in bicycle lanes, except when needing to turn or enter/exit a parking spot. The bicycle lane paint line is usually dashed near corners to indicate that it is permitted to enter the bicycle lane to turn right. 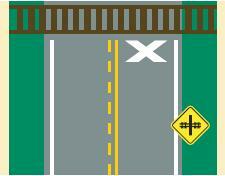 X marking indicate that you are approaching a railway crossing. Painted islands are common place on many roadways and indicate that this area is not to be used for travel by any road users. Vehicles are not permitted to park or stop on a painted island. A vehicle can cross a painted island for the purpose of entering or leaving a driveway, alleyway or private drive. These are just some of the most common and basic road markings in Alberta. It is always important to know what the markings on the road are telling you to keep yourself and others safe. For more information on road markings and other Alberta driving laws and rules please visit www.transportation.alberta.ca.